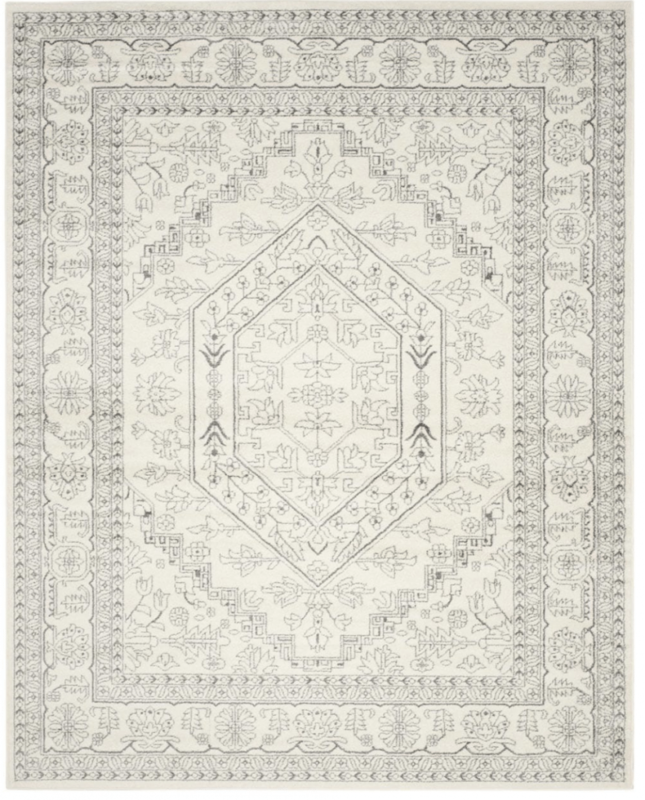 Our favorite inexpensive area rugs are something that we have wanted to share with you for a while now! 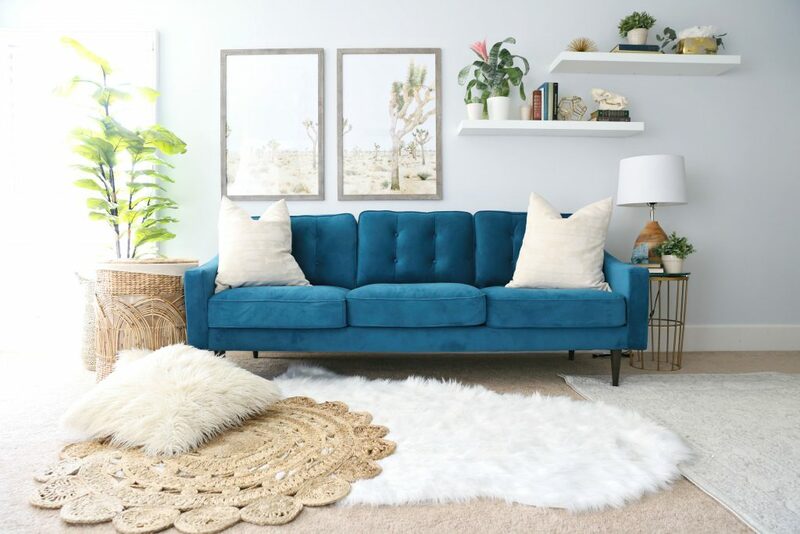 Cute rugs can change the entire look of a space. 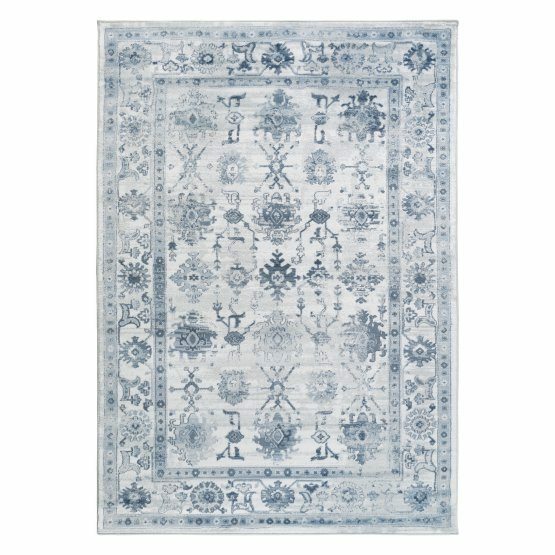 We love inexpensive area rugs because if you don’t spend a ton of money on them you can change out your cute rugs often which is really fun. It can total make a space feel brand new. 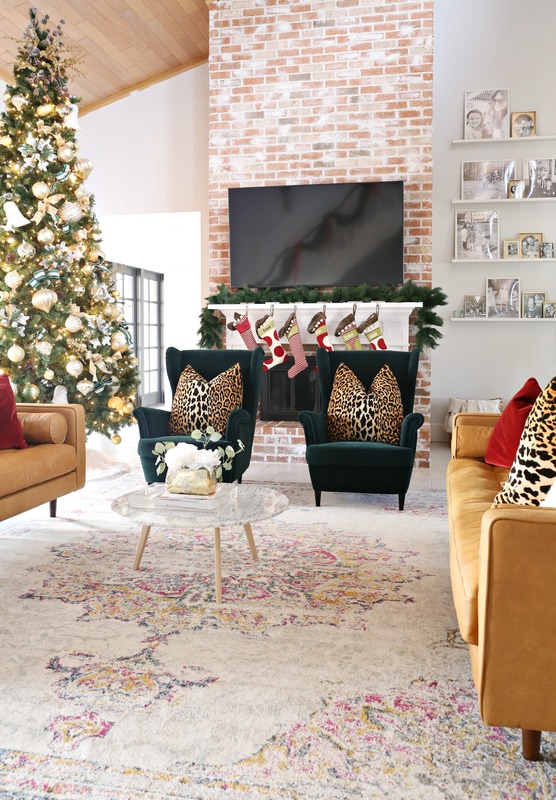 Although we do love a good expensive rug, changing a rug is just a easy change that we like to do when we are wanting to change up a room a bit. 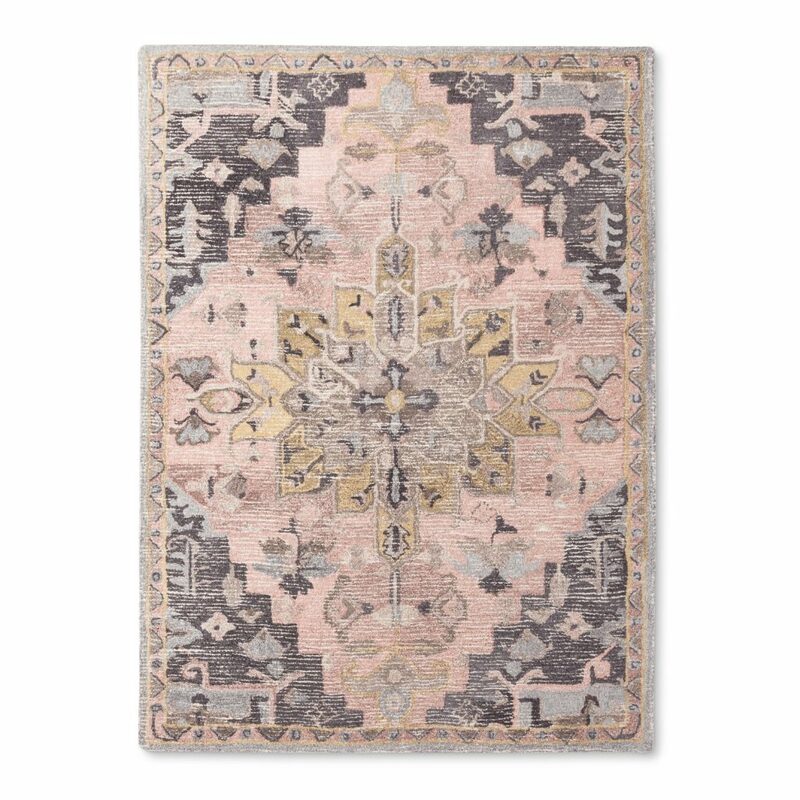 Here are a few of the cute rugs that we already have in our own homes. 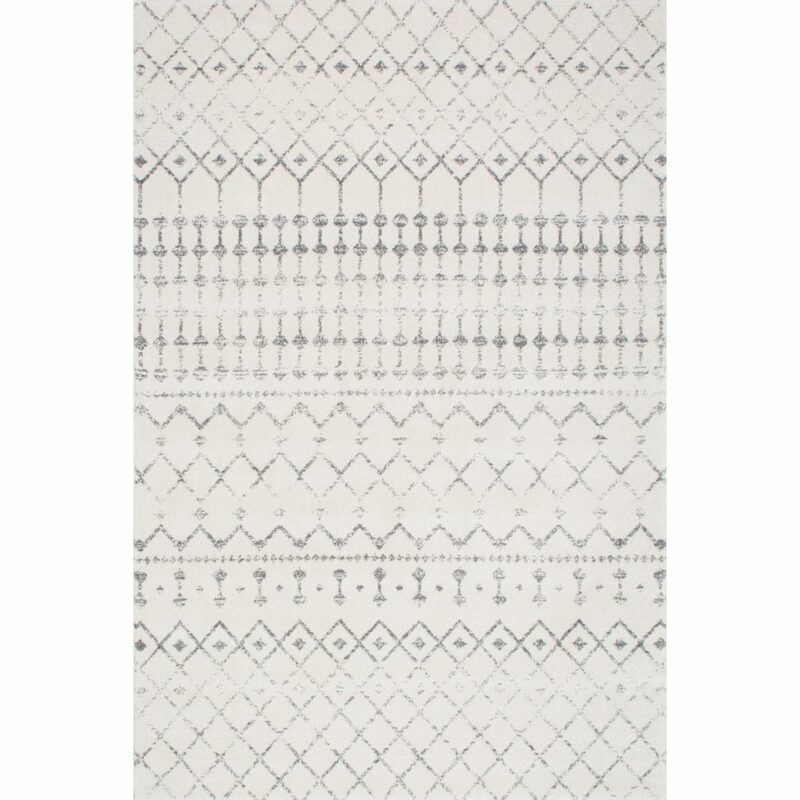 We love all of these inexpensive rugs and all of them are less then $200. Although the picture above is a small 4×4 rug, I have recently switched it out. Now I have the 6×6 rug and I love it so much more. And you can see more of this space HERE. You can find more information of this space HERE. Adding a sheepskin rug can add great texture to any space. You can find details of Mallory’s office HERE. 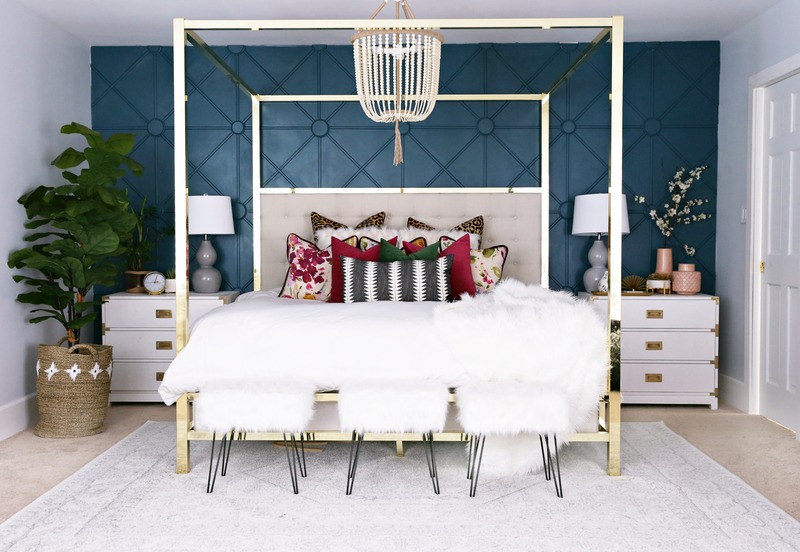 I used a 8×10 rug in my master bedroom. Since I have a king size bed I loved how this size of rug worked in this space. 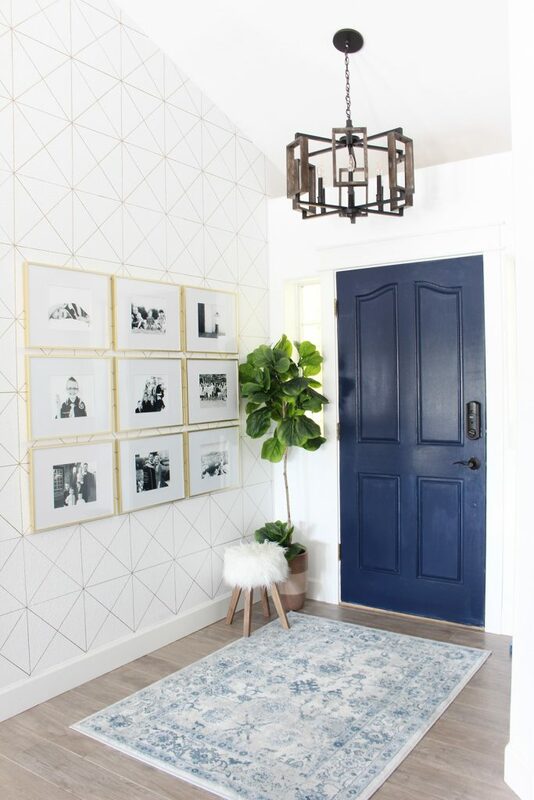 I’ve always loved Mallory’s entry way rug. She used a 4×5 in her entryway that she reused from her old house’s master bathroom. 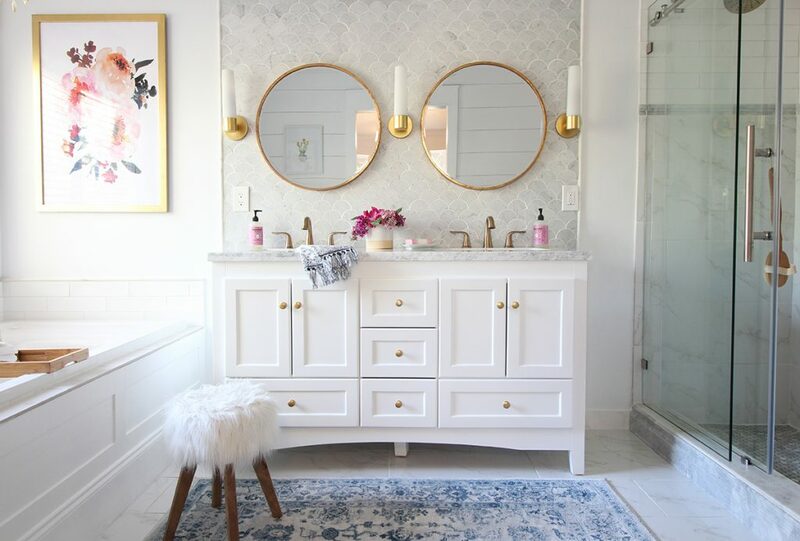 Be sure you check out her master bathroom makeover too! This colorful rug added just the perfect amount of color to my living room. The size I chose for this space was a 9×12 and this size is perfect for this space. 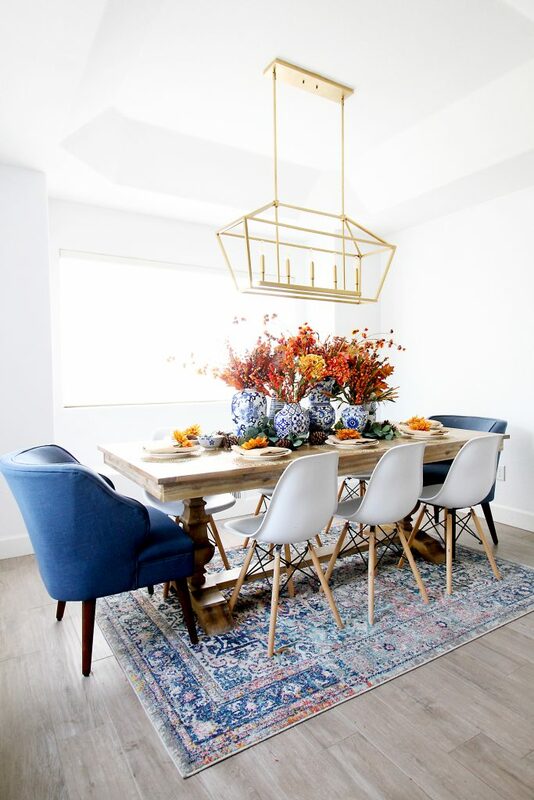 Mallory’s dining room rug is one of our all-time favorites! The vintage feel with the faded colors and a splash of pink is perfect for most spaces! It’s so versatile and pretty! 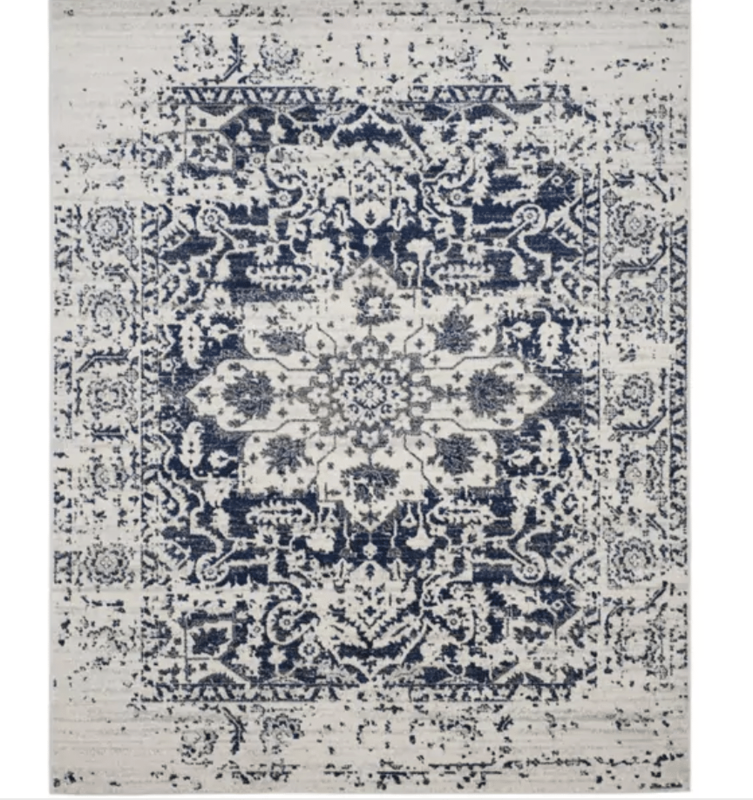 This distressed, vintage looking navy rug is so beautiful! It could work in virtually any space. I love the faded look! I have loved this rug forever now. So many of my friends have these cute rugs. 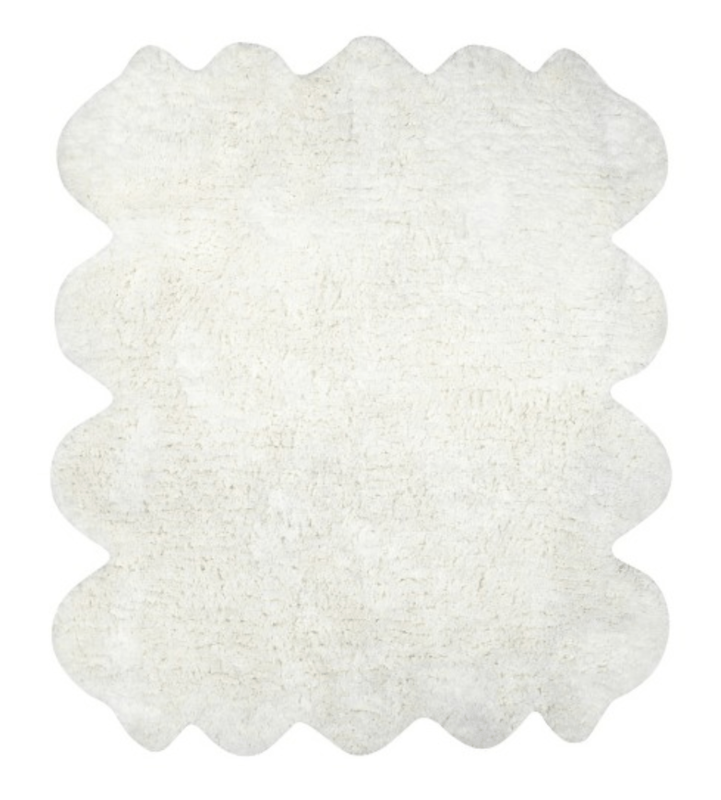 The texture and the color of these inexpensive area rugs is great. 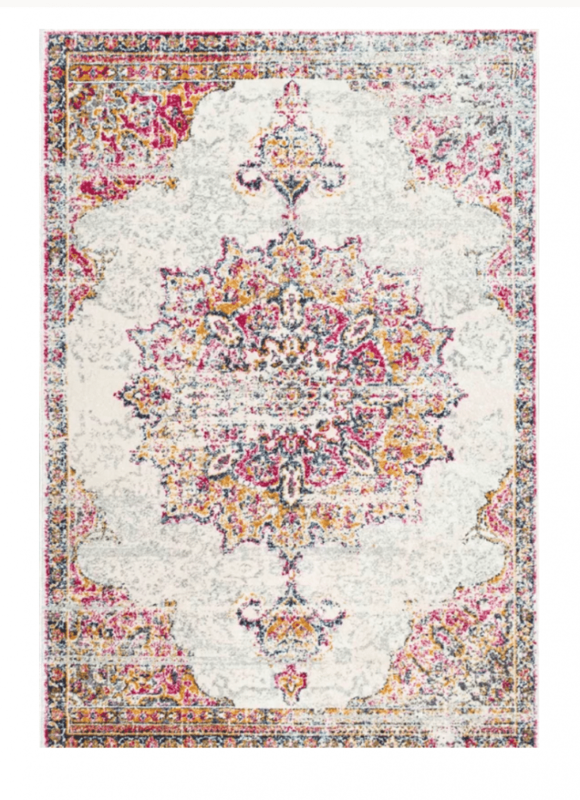 Cute area rugs can make or break a space so don’t be afraid to go bold on cute rugs! If you go with a really colorful or a really busy pattern I would not spend a ton of money because then if you get sick of it after some time then you won’t mind switching out down the road! We shared this tip on our Instagram stories recently and it’s such a valuable tip! 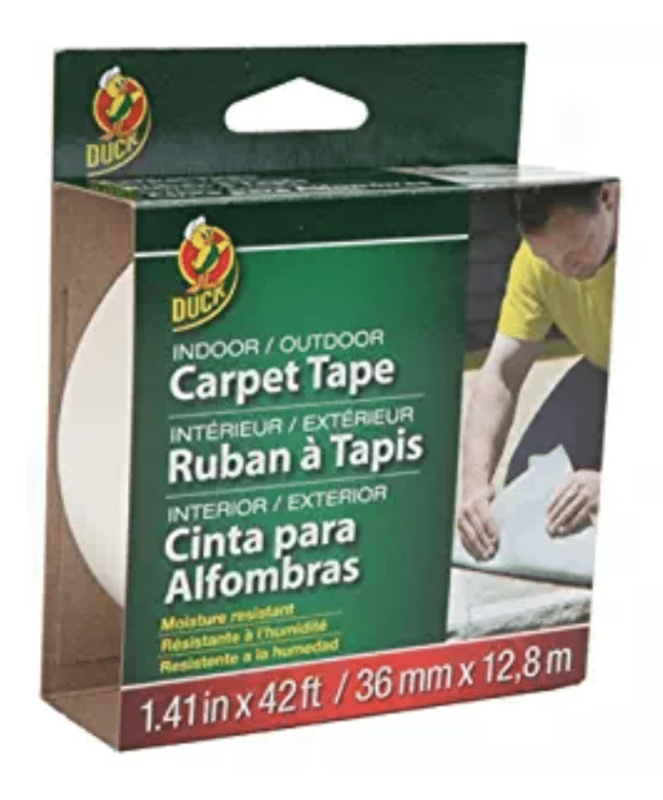 We love this rug tape to help hold rugs in place on tile. I have only used it on tile floors (not hardwood or laminate) so I can’t attest to how well it works on those materials. It says it works on any hard surface but I haven’t used it personally. 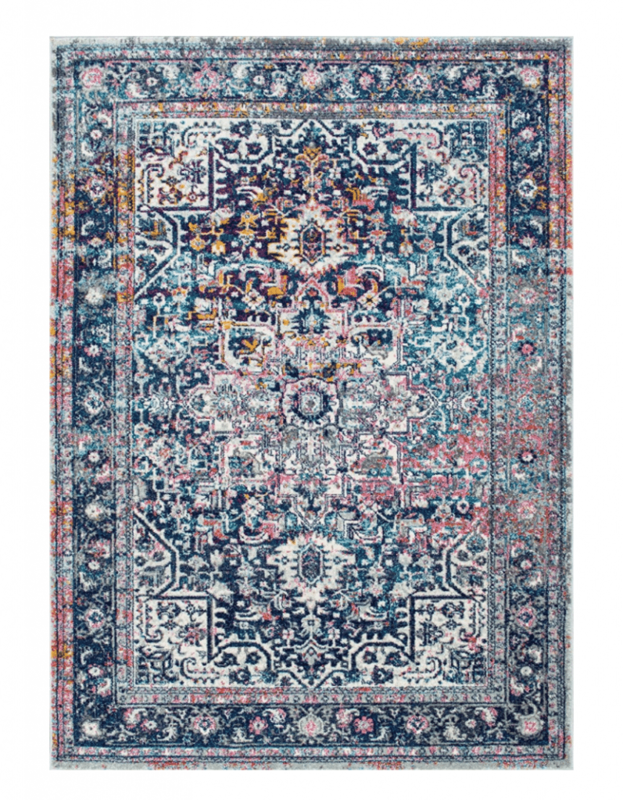 Hi Savannah, Do you feel your living room rug is durable and easy to clean? Love the look, but also need something that will stand up to my dog and toddler! Yes! So far so good! It hides all the dirt! I have 4 kids and a dog and it still looks great! Mallory, you shared some rug tape on your story & I forgot to save it! Can you share it here? Thanks for hopping over from Instagram! 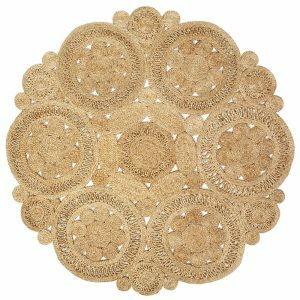 Do you think the jute rug would work outdoors? Could you hose it off?